No two businesses are exactly the alike, but the new Transit Connect adds up for all of them with the best-in-class efficiency, power and versatility in a compact, nimble package. 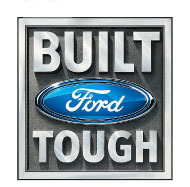 Throw in the reliability that’s earned the Built Ford Tough badge, and you’ve found the van with the answers. 1Starting MSRP excludes destination/delivery charge, taxes, title and registration. Optional equipment not included. Starting A, Z and X Plan price is for qualified, eligible customers and excludes document fee, destination/delivery charge, taxes, title and registration. Not all vehicles qualify for A, Z or X Plan. Price ranges based on MSRP of base model to top model and do not include optional equipment not included on those models, destination/delivery charge, taxes, title or registration. 2EPA-estimated city/hwy mpg for the model indicated. See fueleconomy.gov for fuel economy of other engine/transmission combinations. Actual mileage will vary. On plug-in hybrid models and electric models, fuel economy is stated in MPGe. MPGe is the EPA equivalent measure of gasoline fuel efficiency for electric mode operation.